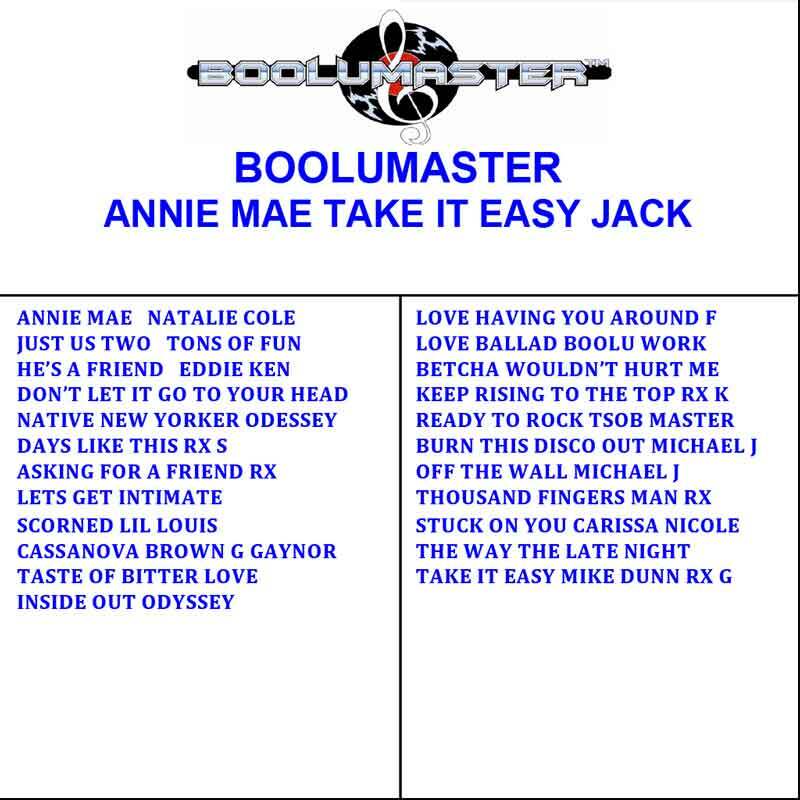 Boolumaster Annie Mae Take It Easy New Disco and House mix starts with down tempo disco and builds through soulful to jackin house.. Listen, Download, have CD or USB Flash Drive Mailed today! !